“Natural disasters now plague the world and no country is immune from them. In recent years the member states of the Commonwealth – both large and small – have had a share of natural disasters resulting in great loss of life and damage to their economies. Whereas developed Commonwealth countries normally have the means to recover and rebuild relatively quickly after such disasters, smaller and poorer Commonwealth countries have far less resilience than richer countries. Consequently, disasters set back their sustainable development, hitting the poorest communities hardest. We recognise that there are now many mechanisms in place for assisting countries that suffer natural disasters. The Commonwealth should not attempt to replicate these in any way. However, we feel that there is now such a large body of skills and experience in Commonwealth countries for dealing with natural disasters that modest machinery could be established beneficially for a rapid Commonwealth response to requests for assistance from member states. Such assistance could include logistics, public health, food security, transportation, emergency medical care, engineering and design immediately after a national disaster. 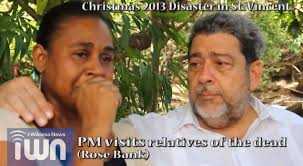 Commonwealth Finance Ministers in the past have given their encouragement to natural disaster insurance. There may also be a role for the Commonwealth in disaster preparation and mitigation. For example, Australia has developed a National Partnership Agreement on Natural Disaster Resilience. It may be possible, drawing upon this initiative, to provide guidance to other countries on best practices, particularly in areas of animal husbandry, water and forest management, so as to mitigate the effects of possible disasters. The Commonwealth Secretariat should establish a working relationship with organisations concerned with disasters throughout the Commonwealth in order to develop clarity on the specific areas where the Commonwealth can add coherence as well as value. This should include maintaining a roster of professionals upon whom it could call to provide: (i) a rapid response to a member state that requests the help of experienced personnel after a disaster; and (ii) training and guidance in disaster preparation and mitigation”.